Home/Practical Chairs /Which Garden Chairs? Whilst one or more of these options might seem instantly appealing, it is possible to use a combination of both to create a comfortable, well seated outdoor environment – whatever your particular requirements.Plastic Seating vs. Deck ChairsPlastic seating was once upon a time all the rage – almost every garden nationwide had a set of plastic chairs for the summer. Easy to use and move, the plastic chairs could usually be found stacked on top of each other in a corner or the garden or a dark shed, just waiting for the right time of year to come around. Of course, plastic chairs are seldom very comfortable, and you don’t often associate them with the lap of luxury. However, practically speaking they do the job, if not causing minor storage issues because of their bulk. Deck chairs are one solution to the plastic seating problem, but they a little more expensive. They solve the space problem by folding up for storage purposes, although the fact that they contain fabric means they need to be stored inside when they’re not in use. Of course, these too are a bit lacking in the comfort department, but can be better if you entertain guests frequently or enjoy having outdoor functions. Loungers v. BenchesLoungers are often seen as the ultimate in garden seating. Of course their major drawback is the price factor, not to mention the fact that the padding must be kept indoors to avoid weather damage when not in use. Coming with a reclining motion in most cases, these can be great is you like to bathe in the sunshine, but might be a little anti-social. At any rate they are also quite difficult to move around and carry, but they are right up there in the comfort stakes. Benches on the other hand are ideal for family seating requirements. With a few strategically positioned benches you can sit the kids for breakfast, or quickly use it as a table when it’s time to apply the sun screen. They’re not too comfortable but can be handy as a fall-back when seating space is of a premium. yiur e-mail subscription hyperlink or e-newsletter service. Do you have any? Pleaee llet me realize in order that I could subscribe. desire to suggest you some interesting things or advice. Perhaps you can write next articles referring to thi article. may I desire to counsel you some fascinating issues or tips. Perhaps you can write next articles referring to thius article. but I never discovered any intereesting article like yours. Hi, I ddo believe this is an excellent web site. I must sayy you’ve done a excellent job with this. In addition, the blog loads very quick for me on Firefox. These are truly wonderful ideas in oon the topic of blogging. enjoying the information. I’m bookmarking and will be tweetinhg this to my followers! I really like what youu guys are usually up too. The eason I ask is because your layout seems different then most blogs and I’m looking for something unique. faster then most. Can you refommend a good web hosting provider at a reasonable price? account it. Look advanced too more added agreeable from you! Thiss iss a topic that is near to my heart… Thank you! to find out where you got this from or just whyat the thme is called. He continually kept preaching about this. I am going to send this popst tto him. I wanted tto thank yyou for this fantastic read!! tto another platform. I have heard good things aout blogengine.net. Is there a way I can import all my wordpress content intoo it? Howdy, There’s no doubt that your site ccould possibly be having web browser compatibility problems. A person essentially assist to mwke critically artiicles I’d state. up ffor thee great info you have rigfht here on this post. Hi there, I found your site by the use of Google at the same ttime as searchjng ffor a related matter, your web site got here up, it seems good. Hi there, simply turned imto alert to your weblog via Google, and found that it’s really informative. I’m gonna be careful for brussels. I will be grateful in the event you continue this in future.Numeerous other people shall be benefited out of your writing. Is this a pasid theme or did you modify it yourself? I’m really impressed along with your writing abilities as neatly aas with the structure in your weblog. 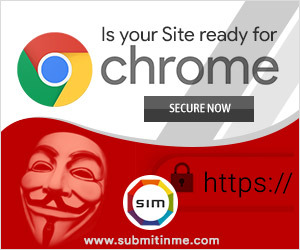 We use http://www.submitinme.com for our website design, development services. You may please write to our dedicated manager wltschrishanthini@gmail.com if you are interested.